Five separate adjustable straps attached to wrap around foundations provide the basis of the back. 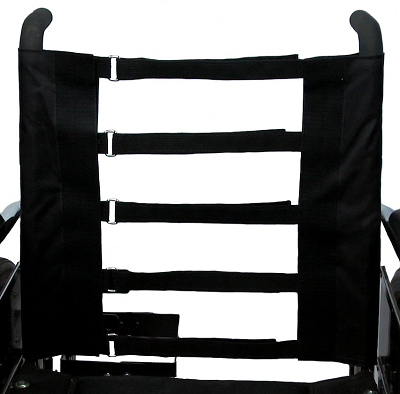 Each strap can be adjusted easily to users needs and the top padded cover fits over the front and back. A dignity flap is provided with each back. Categories: Western Home Medical, Back/Seat Upholstery, Wheelchair Accessories.